MADAY ISLAND, Kyaukphyu — It has been seven years since construction began on a China National Petroleum Corp (CNPC) pipeline project that cuts 480 miles across Myanmar. The transmission of crude oil from Maday Island to China’s Yunnan Province began on May 2. The pipeline can transport up to 22 million tons of crude oil annually. Myanmar will annually receive a Right of Way fee of US$6.905 million, a pipeline usage fee of $1 per metric ton of crude oil, a crude oil tariff of $31.56 per metric ton and profit shares as per the shareholder agreement. The project is a joint venture between CNPC and the Myanmar Oil and Gas Enterprise (MOGE), holding stakes of 50.95 percent and 49.1 percent, respectively. The Irrawaddy’s reporter visited the island last week to see how the project was affecting locals. 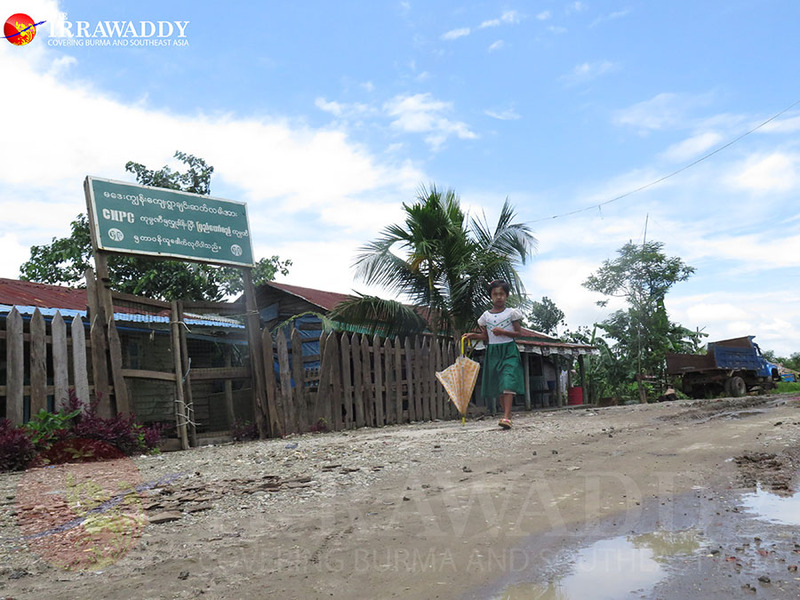 While the pipeline garners millions for the Myanmar government annually, the lives of Maday Island locals do not appear to have improved markedly. The island is located in the eastern part of Kyaukphyu, 12 kilometers from the downtown area. Three major villages—Ywar Ma, Prein and Kyauktan—have a total population of about 3,000. Maday can only be reached by water. Maday residents generally take motorboats or schooners to get to Kyaukphyu, though they hesitate to recommend schooners in the rainy season due to wind and waves. 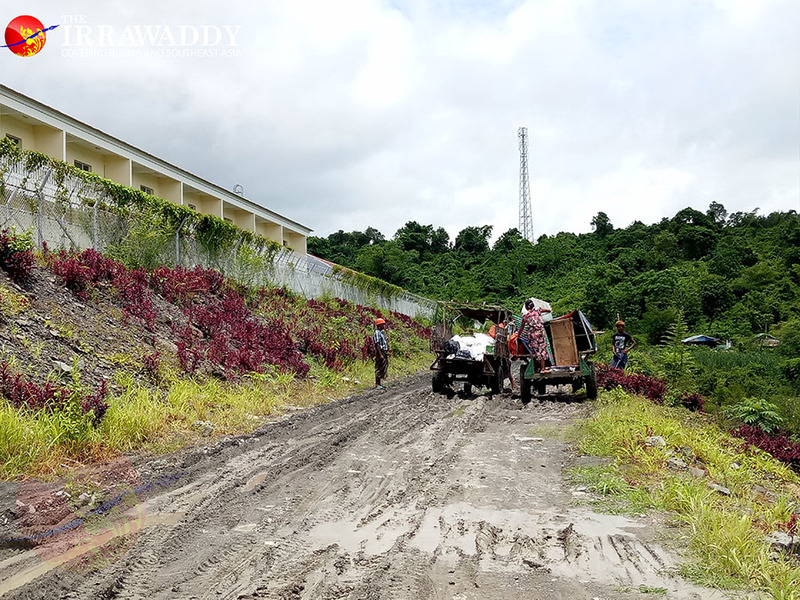 On July 12 around 2 p.m., I boarded a motorboat for what was supposed to be a two-hour trip from Kyaukphyu to Maday Island along with 16 other passengers. The sea was calm, minus occasional small waves. About halfway, the operator suddenly stopped the boat and anchored some six kilometers from town, saying: “Don’t worry, everything will be fine,” as he went to check on a malfunction in the engine room. After an hour, the operator found a problem with the axle, and recklessly lifted the anchor as he thought he could fix the problem while we floated on the deep waterway. The wind and the tide quickly pushed us toward a lighthouse near the Thanzit River. At 4:30 p.m., two schooners arrived and pushed our boat to Pan Taw Pyin village. We were lucky. If the schooners had not arrived, we could have been shipwrecked on the rocky coastline with no life jackets on board. After three hours floating already, and still a ways to go to our destination, the two schooner operators offered to transport us the rest of the way. The response seemed flippant as I recalled a tragic accident in which a boat carrying 17 schoolchildren capsized in Rakhine State last August. The boat reportedly had only one life jacket on board. I got on the boat, my mind filtering through possible worst-case scenarios. But at last, at 7 p.m., we arrived safely at Maday Island. No one was waiting for me at the riverbank when I arrived. I went to the nearest village to call a contact there. There are no guesthouses on the island, but fortunately, a local from Kyauktan came to meet me and we walked 20 minutes to the village. There were lampposts in the villages but not on the roads between them. Locals told me that some of the lights had been provided by the government. CNPC provided funds for meter boxes for all of the households on the island, though some have not received them yet due to alleged government mismanagement. We used flashlights to pass through unlit areas. I tried to hire a motorbike but drivers wouldn’t use the muddy roads. Electricity is still a limited resource on the island, with CNPC providing only four hours a day, from 6 p.m. until 10 p.m. The majority of Maday residents still rely on firewood to cook. CNPC stated that by the end of 2013 it had invested more than $10 million in education, health care, sanitation and disaster relief in Myanmar. 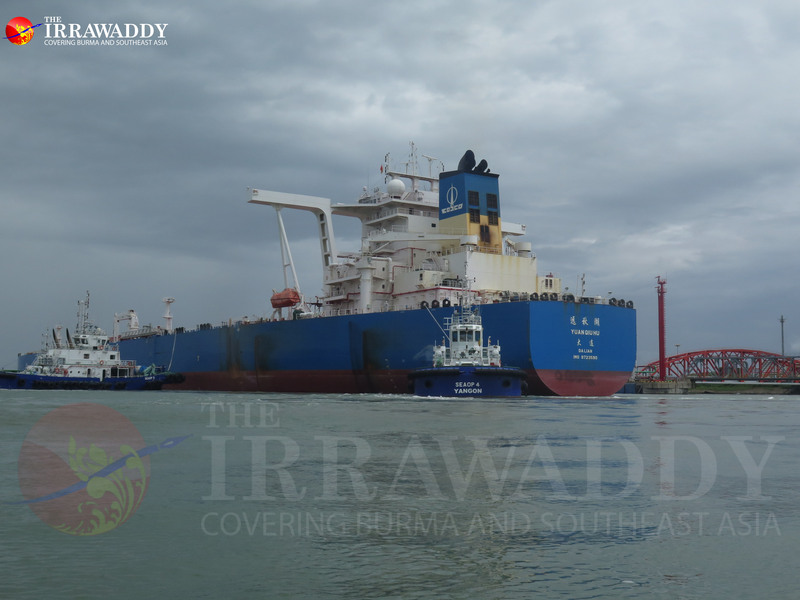 Kyaukphyu Rural Development Association (KRDA) coordinator U Tun Kyi pointed out that CNPC had also donated to the island via the local government, but claimed that those funds were mismanaged. I wondered where the money was spent as well. Most of the locals still travel in privately owned wooden schooners, without life jackets. I couldn’t find evidence of new jetties, ferries, or improved transport for locals. Villagers told me they had asked for such infrastructure development for years but in vain. U Aung Tun Mya, a former village administrator from Ywar Ma criticized that despite the massive oil project, little had improved on the island, and fishermen had even lost fishing areas in the process.